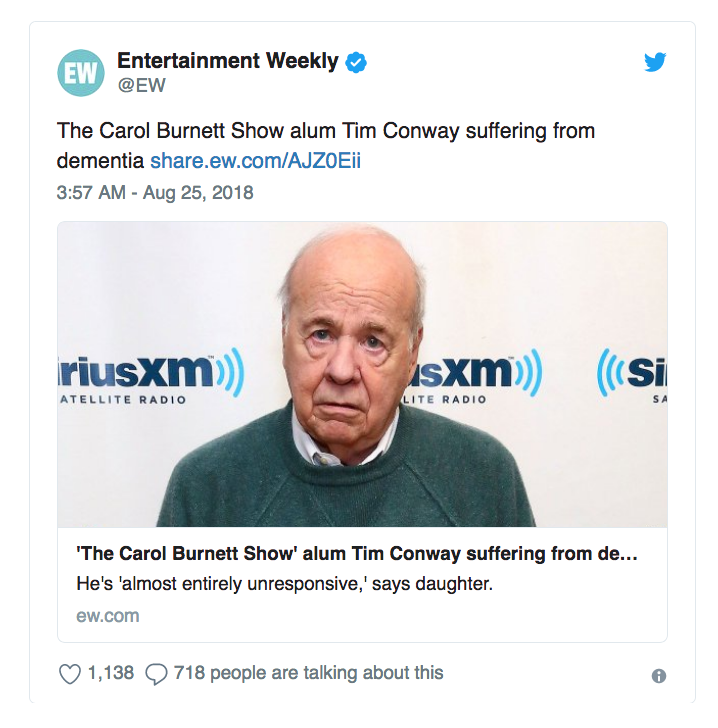 The beloved funnyman, Tim Conway, 84, best known for his many memorable appearances on ‘The Carol Burnett Show’ is reportedly in very poor health, suffering from dementia and unable to care for himself. His daughter, Kelly 57, “is asking the court to control his medical care because his current wife is trying to move him out of the facility he is in. Kelly is hoping to be granted guardianship of her father so that she can make sure he continues to receive the best medical care possible. Conway married his current wife Charlene in 1984, but he and his first wife, Mary Ann had seven children together during their 17-year marriage that lasted from 1961-78: Jaime, Tim Jr., Pat, Corey, Shawn, Jackie, and Kelly.